Vicki Newmiller, CEO of the Great Falls Clinic, and her husband Ronald Newmiller have donated $15,000 to the Foundation’s “Building Hope” Campaign. Newmiller joined the Great Falls Clinic in 2008 as the Director of Nursing at the Great Falls Clinic Medical Center. 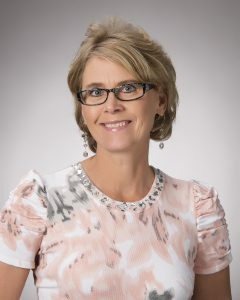 She was appointed Administrator of the Great Falls Clinic Surgery Center in January 2010 and Chief Operating Officer/Director of Nursing at the Great Falls Clinic Medical Center in June of 2010. In February of 2014, she was appointed the Chief Executive Officer for the Great Falls Clinic HealthCare System. Mrs. Newmiller and Mr. Newmiller, both long-time community members of Montana, are more than familiar with the need the Great Falls community faces for patient housing while receiving outpatient treatment in Great Falls. “The Great Falls Clinic Legacy Foundation is a way for our providers, employees and the community to give back to those patients that need our help. I believe the housing facility will greatly improve the access to healthcare for all patients and their families traveling from outside of Great Falls. We are very excited to continue supporting this project,” says Newmiller on why she believes in and supports the Great Falls Clinic Legacy Foundation. The Great Falls Clinic Legacy Foundation, a nonprofit 501(c) (3), announced its plans for future patient housing last June. The Great Falls Clinic sees an average of 650 surgical and 400 cancer care patients per month, with approximately 42 percent of those patients traveling from out of town. Helping those patients and families from around Montana, seeking treatment at the Great Falls Clinic was part of the vision of the Foundation. Patient care and comfort is of the utmost importance to the Foundation, and patient housing is now their top priority.